The Chocolate Muffin Tree: Body Crayons Were A Blast! 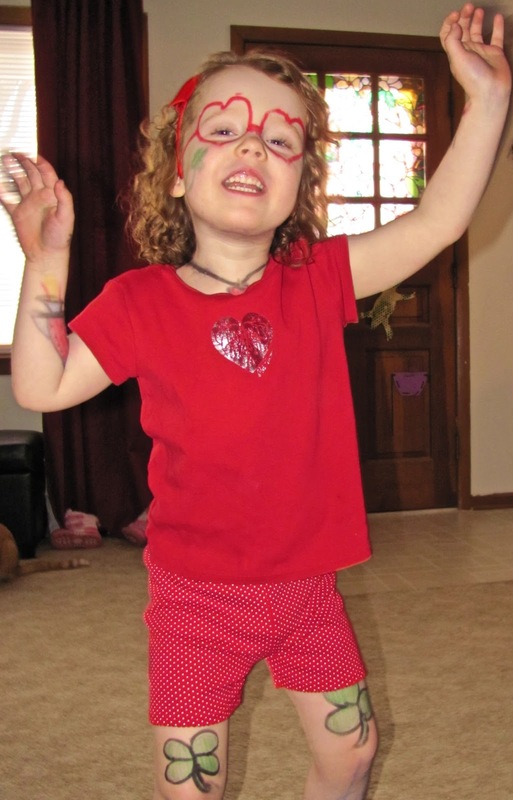 My daughter received The Body Crayon Book by Klutz from her Grandma and she just can't get enough of it! We had so much fun with it today and she was laughing over and over! 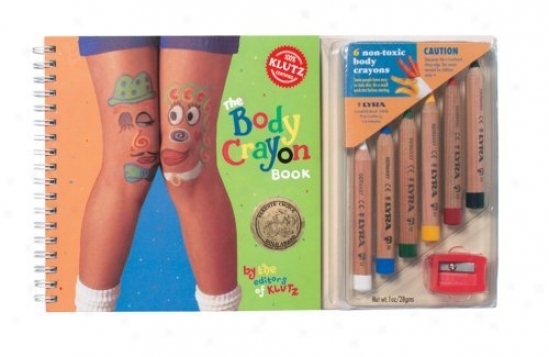 The book has great ideas for body art and comes with body crayons and a sharpener. I had to keep the sharpener out of reach because she loves to sharpen and we would have no body crayons if I let her sharpen! I am very happy with this book set and if you don't mind your kids getting dirty you should be O.K. with it too! 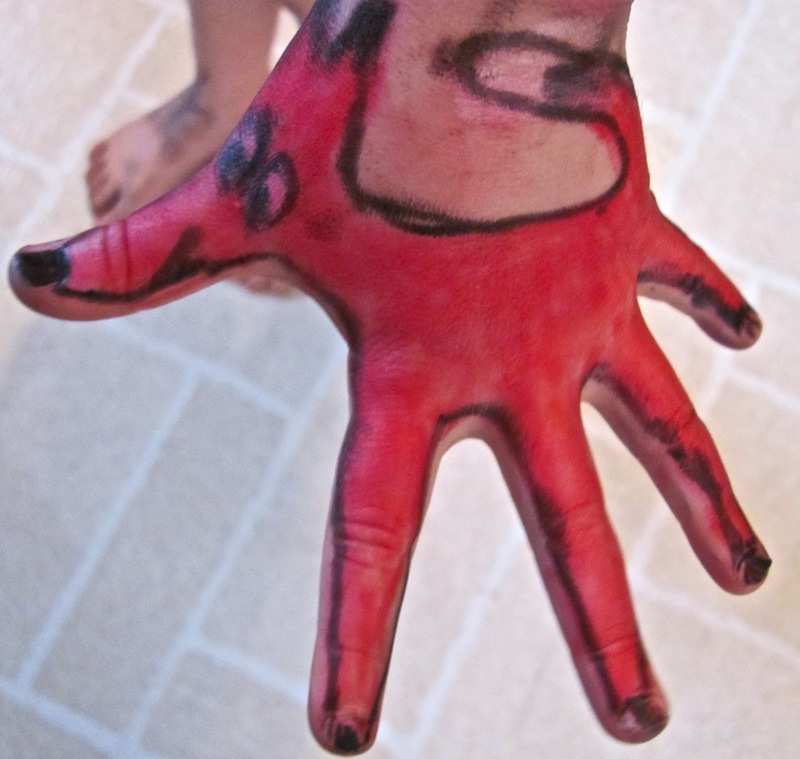 Some may want to wait until there is warmer weather and you could just wash them off in a pool. Loving the hand creations - i'd never thought of trying that!